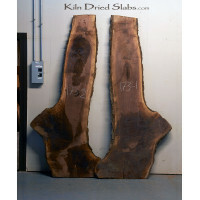 Kiln Dried Slabs offers quality live edge hardwoods in a variety of species available rough milled, wide belt sanded and finished as table tops and tables. 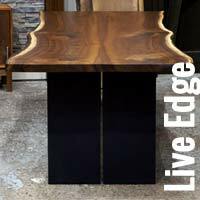 Our live edge pieces are used for dining room and conference tables, desks, counter tops, shelving, and bars, console and coffee tables. Each carefully kiln dried piece of lumber provides for a beautiful and dramatic solid wood surface that will last for generations. 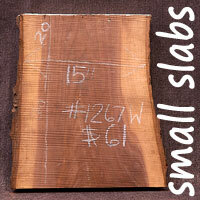 Wood species cut into slabs are black walnut, ash, cherry, hickory, american elm, honey locust and more. 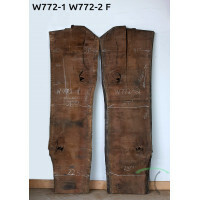 We are a division of Great Spirit Hardwoods LLC and sell only the finest hardwoods and live edge slabs. 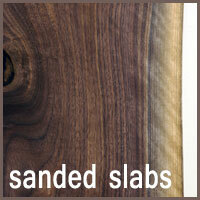 For more information, visit our Dundee, Illinois slab showroom or contact our inside sales department at 224-801-1969. 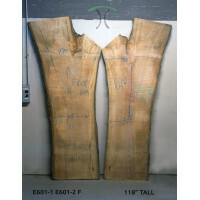 American Elm book match. 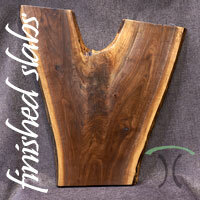 Kiln dried, live edge slabs for dining table, desk top or conference table ..
Black Walnut book match, kiln dried live edge slabs for dining table, desk top or conference table t..
Black Walnut book match. 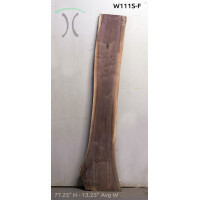 Kiln dried, live edge slabs for dining table, desk top or conference table ..
Black Walnut kiln dried, live edge wood slab for dining table, desk top, wall art or conference tabl..
Black Walnut, kiln dried live edge solid wood slab. Wide Belt Sanded for wall art, bench top, consol..
We offer live edge slabs and kiln dried hardwood lumber locally at our hardwood retail store and also ship our slabs and select hardwoods nationally. 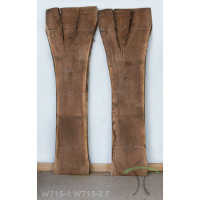 Our live edge wood slabs are taken from rescued trees, that have died, been downed by storm or have been saved from the chipper after being taken down to make way for a building or road. 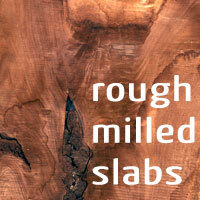 Our slabs are available rough milled or wide belt sanded flat and we offer surfacing, sanding, small epoxy filling of voids, spray-finishing, book-matching, and gluing services as well. 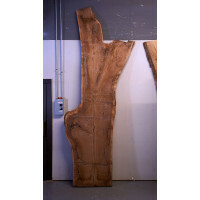 We also offer finished live edge slabs, tops and dining and conference tables that are finished in our durable, no-ring and easy maintenance proprietary low VOC polyurethane finish and we ship our products directly to you via freight or white glove delivery. 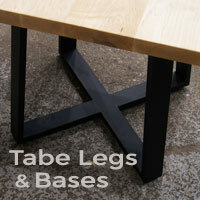 All finished tables and table tops are handcrafted in the USA by Spiritcraft Furniture in East Dundee, Illinois.